Snowvillage Inn has been welcoming guests to the White Mountains since 1948. The Snowvillage Inn is an extraordinary New England country home built as a summer home in 1916 by Frank Simonds, a Pulitzer Prize winning author known primarily for his five-volume history of World War I. 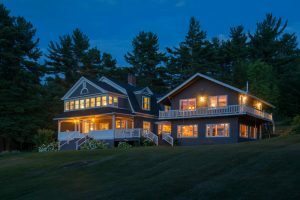 An expansive house set high on the lower slopes of Foss Mountain, the Snowvillage Inn has a commanding and memorable view of the White Mountains. Simonds named the house Blighty, which means home. 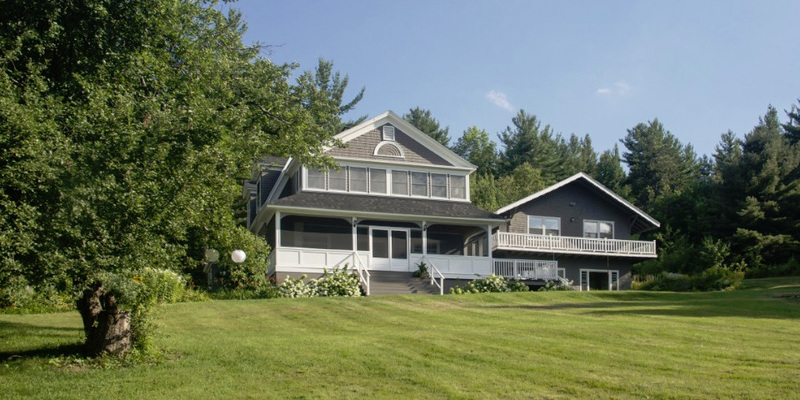 The property was acquired by Greta and Maxx Pluss in 1948 and turned into a country inn. It has been in operation as a New England Country Inn ever since. In the 1970s, Ginger and Pat Blymyer took over, adding their personal flair (including a pig) to the property. In the 1980s the inn was purchased by the Cutrone family, who built the very popular Chimney House with four guest rooms, each with its own fireplace, and a common area. In the 1990s Kevin Flynn began his stewardship; he brought in a professional chef and started the White Mountain Cooking School. He put the Snowvillage Inn on the map internationally, as it soon became the destination for fine casual dining in a picturesque setting. Flynn sold the Inn in 2005. Several owners took over until he purchased the inn again in June 2012 with partner Jen Kovach. Former guests are delighted that “Kevin’s back!” Kevin and Jen have made many updates to the inn, bringing in modern amenities such as wifi, coffee makers, and air conditioners, while still upholding the historical beauty and integrity of this unique property.